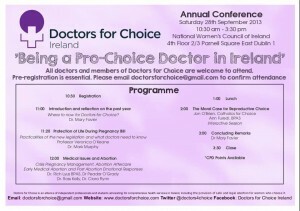 Many doctors in Ireland are pro-choice but have little opportunity to meet like minded colleagues. This results in doctors being isolated and often silent about their opinions and experience. 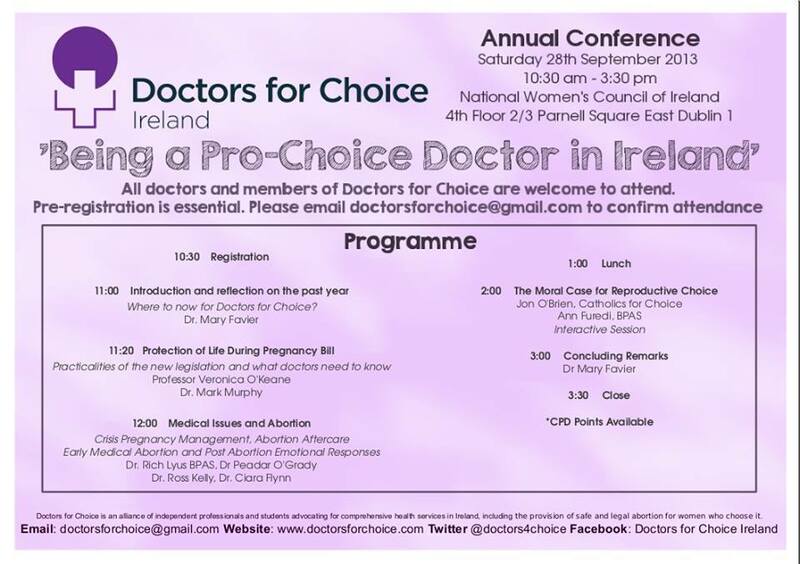 Doctors For Choice are a holding a conference which aims to address the experience of being a pro choice doctor in Ireland. Our aim is to facilitate discussion and the sharing of opinions amongst colleagues of broadly similar opinions. The purpose is to provide support and build networks rather than recruit members. The programme is attached for your information.